Julius Caesar was one of the best known and prominent figures of the ancient world. He was not only an extraordinary military commander but a cunning political leader. Caesar greatly expanded the Roman Empire, and his conquests changed the future of Europe. Caesar played a pivotal role in the collapse of the Roman Republic and the emergence of the Imperial system. Caesar upended the Roman world. However, Caesar's actions angered many Romans that included men he not only knew but considered friends. On the Ides of March, Caesar was assassinated by many of these men. Why was Caesar murdered at the hands of his fellow citizens? Caesar was killed for three reasons: First, the conspirators wanted to halt the growth in his power. Second, they tried to prevent him from becoming king and destroying the Roman Republic. Finally, some were motivated by personal vengeance. Caesar was born to a patrician Roman family who had once been very influential in the Republic. However, by the time of Caesar’s birth, their fortunes had declined, and they were no longer particularly prominent. We know little about Caesar's childhood, but during his teenage years, Rome was unstable. Additionally, the death of his father left him somewhat unprotected. A bloody civil war between Marius and Sulla forced Caesar to pick sides. Caesar sided with Marius, but when the war shifted in favor of Sulla, Caesar was forced to flee Rome and join the army to avoid execution. Caesar quickly rose through ranks of the military and distinguished himself. Upon the death of Sulla, he returned to Rome and became one of the leaders of the popular party in Rome. He was a charismatic leader and became one of the best-known figures on the Roman political scene. Caesar entered into an informal political arrangement with Crassus and Pompey, known as the First Triumvirate. This agreement allowed the three men to secure their political goals and become, in essence, the de-facto government of the Republic. Under this arrangement, Caesar was able to secure election as consul and to become the commander of several Roman legions. Caesar lead these legions into Gaul to pacify this region. At the time, Gaul covered most of France and Belgium. Caesar then embarked on a ten-year campaign gradually conquered this region. He then used his legions to raid the people in Germany and Britain. After the death of Crassus, the First Triumvirate broke down. The Senate and Pompey saw an opportunity to oust Caesar from power and threatened him with criminal prosecution. In response, Caesar advanced on Rome to secure his political position and started a civil war between himself and the Roman senate. Pompey the Great defended Rome alongside the Senate. Caesar defeated his enemies at Pharsalus (Greece), but this did not end the war. Mark Anthony ruled in Caesar’s name in Rome and Italy. The conflict continued to rage over the Mediterranean for several years. Caesar emerged victoriously and by 44 BC after his decisive victory at the Battle of Mutina. By this time Caesar was the most powerful man in Rome. He had been elected by the Senate as dictator initially for five years, but later for life. This meant that along with the army under his control, he was granted extraordinary powers. His position, it seemed, was beyond challenge, but this situation changed on the Ides of March 44 BCE. By March 44 BCE, members of the Roman elite conspired to remove Caesar from power. The members of the conspiracy were all prominent Romans who knew Caesar. The sources on the assassination and the conspiracy could be best described as imperfect. None of the sources are contemporary, and they often contradict each other. However, many of the facts of the assassination have been established with a great deal of certainty. The guiding spirit behind the conspiracy was Cassius, a leading Roman senator. The members of the plot called themselves the liberators. They sought to liberate Rome from Caesar's rule/ The plot involved luring Caesar to Pompey’s theatre where gladiatorial games were to be held in his honor. Caesar was notoriously reckless when it came to his security. He refused bodyguards, and he declared that to live surrounded by guards was not a life he wanted. Caesar had only a few personal attendants who escorted him everywhere. On the Ides of March (the 15th of March) the gladiatorial games were staged. Caesar was expected to come, and he was the guest of honor. On the day, he was late which alarmed the conspirators. The nominal leader of the conspirators, Brutus, agreed to bring Caesar to the theatre. Brutus and Caesar were well acquainted. Caesar and Brutus's mother were alleged to have been lovers. Brutus had also fought against Caesar at Pharsalus, but Caesar had pardoned him. Despite this long history, Brutus agreed to lure Caesar to the theatre to help their plan to place. Brutus ultimately convinced Caesar to attend the games. As soon as Caesar as entered the theatre, one of the conspirators approached him. The conspirator pretended to hand a petition to Caesar. At this time, not only did Caesar not have any guards, but her servants had also fallen behind him. The group had also successfully delayed Mark Anthony, one of Caesar's staunchest allies. This delay prevented Anthony from being by Caesar's side. Caesar was left alone and virtually defenseless. One of the conspirators, possibly Casca, according to the Greek historian Plutarch seized the toga of Caesar. Caesar was surprised and shocked by his action. The group of conspirators then drew knives from their toga and proceeded to repeatedly stab Caesar. It is estimated that up to fifty men, all members of the Roman senatorial order attacked him. Not all of them were able to get near the man they hated and who they believed was a threat to Rome. It was later revealed that Caesar had been stabbed over thirty times and that he died from blood loss. While it is somewhat disputed by historical sources, some sources claimed that Caesar's last words were ‘Et Tu Bruti’, meaning you too Brutus. Brutus's betrayal would have been especially shocking because Caesar viewed Brutus almost as a son. Several of the sources also state that the Caesar died at the foot of a statue of his hated rival and enemy - Pompey. Why did the conspirators want to kill Caesar? One of the most commonly cited reasons for the assassination was the fact they believed that Caesar wanted to be the king of Rome. Many ordinary Romans did not have any problem with a monarchy and Caesar was popular with this class. However, the idea of a monarch was one that was unacceptable to the Roman aristocracy. They believed monarchs were a threat to ‘liberty’ and were ultimately tyrants. They believed that if Caesar became king, they would lose their freedom to take part in public life and protect their property. For members of the Roman elite, they felt that Dignitas (personal dignity and status) was impossible without liberty. Caesar's actions made it clear to them that he wanted to retain his power permanently unlike previous dictators of Rome. Their suspicions were of Caesar's motives were compounded by the public demonstrations outside of the Senate house by Roman citizens that demanded Caesar declare himself king. This unnerved and persuaded many Roman nobles to join the conspiracy. Many of those who took part in the assassination of Caesar were formerly ardent supporters of Pompey and had fought with him at Pharsalus. However, the fear of emperor was so powerful that overwhelmed than gratitude or even personal affection for Caesar. 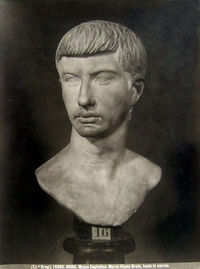 Cassius the prime mover of the conspiracy was able to present the assassination of the victor of Pharsalus as tyrannicide, the killing of a tyrant. This persuaded many including Brutus to join the plot as they saw it as their duty as Romans. However, the evidence that Caesar wanted a return to monarchy is scanty and not conclusive. Whatever his intentions, it is clear that the conspirators believed that he was determined to rule as king. While the apparent pretensions of Caesar angered many of the conspirators, others were angered over his apparent lack of respect for Roman senators. Several of the conspirators were linked to senators, and the plotters believed that they were acting in the name of the Senate. Senators were technically the lawmakers and the ultimate source of authority in the Republic. However, Caesar treated that body in a high-handed manner and often with contempt. He did not act in a respectful manner towards the Senate, and this alienated many of them. Many senators saw his dismissive behavior as an affront and believed this was a thinly veiled attempt effort to marginalize the Senate. They saw his actions as overt attempt to subvert the traditional form of government. Moreover, during the civil wars when Mark Anthony had governed Italy, the Senate had been cowed into submission by him. Many senators yearned for a return to the days when it was the main decision-making body in the Republic. Moreover, many senators who had conferred honorific titles and powers on the general were shocked when he used this largely symbolic powers to cement his position in Rome. The senators believed that the conqueror of Gaul was engaged in illegally gathering more personal power at the expense of the traditional elite and was subverting the constitution. The strained relationship between Caesar and the Senate was one of the factors that persuaded many that Caesar had to be assassinated.. He had killed many of the senatorial order and the Roman elite during the civil wars. Friends and family members of the elite had died on many battlefields against Caesar during the civil war. Many prominent and revered Romans such as Cato had committed suicide to escape having to live in a Rome dominated by one man. Moreover, Caesar's policy of clemency did not reconcile the elite to him and his regime. Those whom he had pardoned after his victories continued to resent him and were instrumental in his assassination. Mercy was a characteristic of a king or a tyrant and those who accepted it was thought to have been dishonored. Furthermore, in the social system of the time, Senators had become dependent on Caesar. Ultimately Cassius and Brutus, while pardoned by Caesar, were eager to wipe away the stain on their honor that they only lived due to the mercy of a despised autocratic ruler. 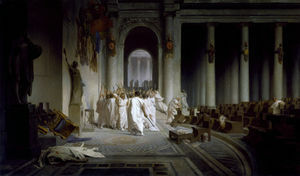 The assassination of Caesar was carried out by a small group of members of the elite. They believed that they were acting in the best interests of the Republic and sought to preserve it. The group who killed Caesar were motivated to prevent Caesar from becoming a permanent dictator. They genuinely believed that he wanted to crown himself king of Rome. Caesar’s poor relations with the Senate was also a crucial factor in the unfolding of the conspiracy. His actions appeared that he was bent on destroying the old constitution and fed into the narrative that he was a tyrant who wanted to ultimately re-establish royal rule in Rome. Moreover, Caesar was a divisive figure and was hated by many of Pompey's supporters. Instead of healing Rome, his policy of clemency failed to win him adherents and became an embarrassment for the pardoned. 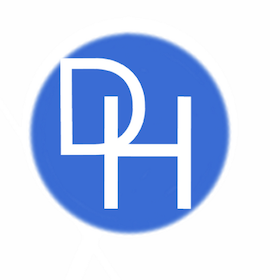 This page was last edited on 16 February 2019, at 22:00.